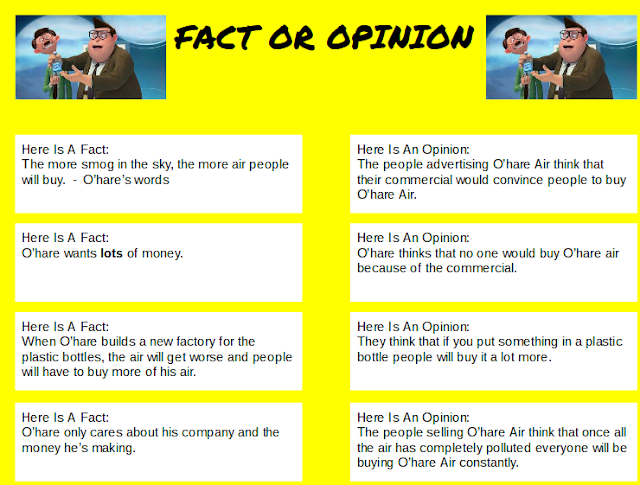 This week for reading we learnt about the differences from fact and opinion. For an example we watched a small clip from the Lorax Movie called Selling Air. A fact is something that can be proven by a single answer, while on the other hand opinion is what 1+ people think of something, yet other people think otherwise. We did this work on a Fact Or Opinion Recording Sheet, and had to include both 4 facts and opinions.